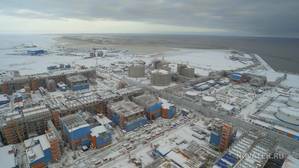 Russia's natural gas producer and the operator of the giant Yamal LNG export project Novatek, has signed an agreement of intent with Russian state nuclear firm Rosatom to establish a joint venture (JV). The JV plans to establish a long-term partnership to jointly develop, finance and implement a project to create a liquefied natural gas (LNG)-fuelled icebreaker fleet. Chairman of the Management Board of Novatek Leonid Mikhelson and Director General of State Corporation Rosatom Alexey Likhachev signed the agreement for JV. The icebreaker fleet will support NOVATEK's Arctic projects in frozen areas along the Northern Sea Route as well as building port fleet and supply vessels. "We already have successful experience of working with Rosatom providing ice-breaker support for the LNG carriers of our "Yamal LNG" project," said Leonid Mikhelson. He added: "This Agreement will facilitate the further development of an icebreaking fleet and support the growth of cargo traffic along the Northern Sea Route that is very important for our company and for Russia's economy as a whole."